Articles posted by "Alexa Sparkman"
Could Gluten be Your Problem? 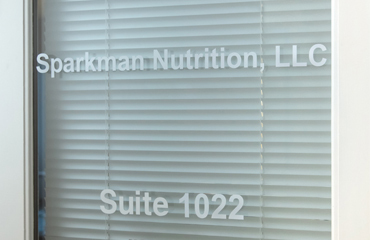 If you need a registered dietitian nutritionist that cares about clients and works flexible hours, Sparkman Nutrition is the one for you. Contact us today to learn how we can help you change your relationship with food. Expensive food sensitivity tests have become very popular as a means for explaining various symptoms someone may experience, such as headaches or memory problems. However, the term "food sensitivity" is very vague and in fact not a medically-based term. Many of these tests lack plausibility and don't result in positive results for the actual food allergies or intolerances that someone may have. Additionally, they contribute to a general obsessive preoccupation with food and "healthy” eating as people unnecessarily cut out “dangerous” foods, resulting in deficiencies. Read this article for more information on the difference between food allergies/intolerances and what these tests claim to test for! Private food tests promise to reveal your food sensitivities. But is it just a pseudoscience? If you haven’t yet heard of chromium, this trace mineral is found in foods such as broccoli and maintains normal blood sugar levels by increasing the effects of insulin. This nutrient is often associated with many health benefits such as improved glucose metabolism, weight loss, and decreased total and LDL cholesterol. However, the research for all of these benefits is lacking and the results have sometimes been conflicting or have shown no benefits. It’s important to take all research into account before making any changes to your diet! Chromium's primary function appears to be enhancing the action of insulin, which plays a role in carbohydrate, fat and protein metabolism and storage. This great article explores the nature of diet trends and the negative effects they can have on your autonomy and mental and physical wellbeing. Feel free to call and schedule with us today if you need help breaking the cyclical patterns of dieting and want to take back control over your health! Any of our dietitians would be happy to help! Missing your whole-fat dairy products? Here’s a really interesting article about a study on milk consumption and cardiovascular disease. Contrary to what you might guess, the study found that those who consume three servings of whole milk each day actually have lower rates of CVD and mortality than those who consume no dairy products. Remember that one study is never conclusive evidence for a claim. However, this might make you rethink eliminating dairy completely from your diet. Consuming three daily servings of milk has been associated with lower rates of cardiovascular disease and mortality, according to a study in 21 countries.